Sure, there are perils with LEGO® bricks, especially for grownups and especially in the dark of night (ouch!). But what kid doesn't love to create, design, and build with them? What kid hasn't gotten lost for hours on end putting pieces together and taking them apart? 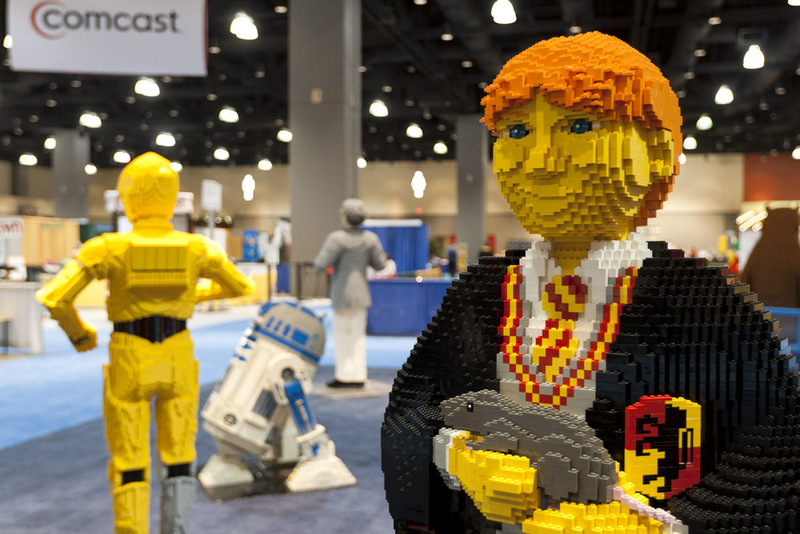 And what parent wouldn't be a rock star for bringing said kid to LEGO® KidsFest? This event is coming to Denver April 27-29, and USFamilyGuide.com and AllThumbsReviews, have 2 tickets to give away to the opening evening, April 27 (4:00 - 8:30 pm) at the Colorado Convention Center. Simply click to enter. This link is unique to this blog, and your chances of winning are pretty good. Wouldn't you like to bring your son or daughter and save up to $40? We'll notify the winner on April 24. Comments are closed here, but we hope you enter there.